It&apos;s a mat that everyone has seen in a bar somewhere! 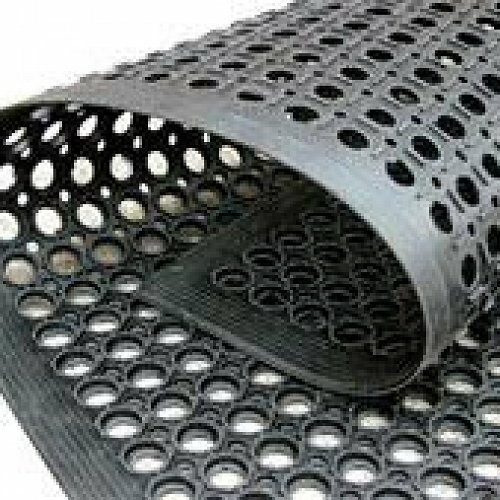 The workmate is one of our most versatile mats. 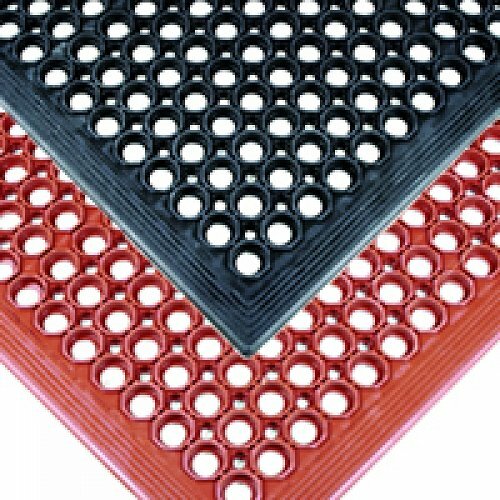 With its drainable holes and 12mm thickness, this mat is great for outside entrances or staff standing all day serving customers. 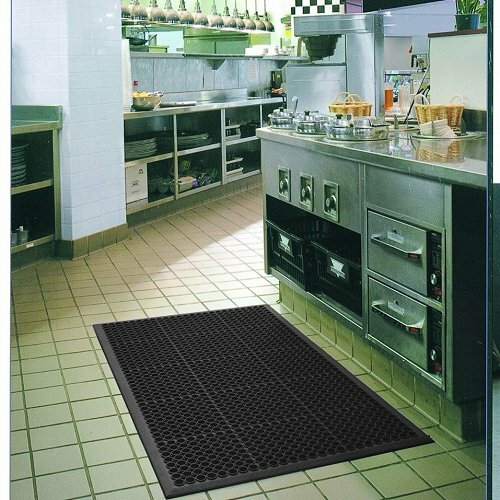 This mat comes in Black for areas that need matting that is grease resistant and Terracotta for areas that have a lot of grease such as kitchens as it is grease proof. Workmate comes in a standard size of 900mm x 1500mm and can easily be hosed clean and hung out to dry. The uses for this mat are unlimited. 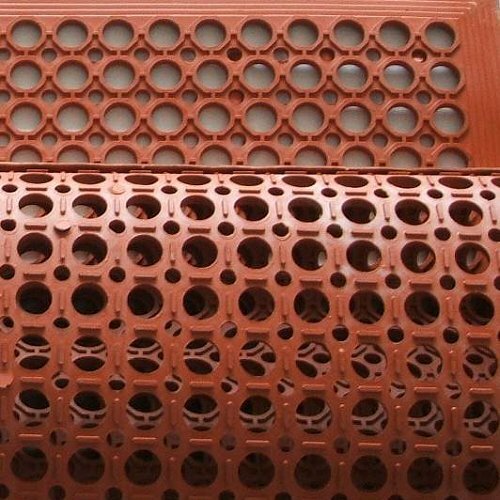 All mats have bevelled edging on all 4 sides to prevent trip hazards.